Are you ready to join the very best? 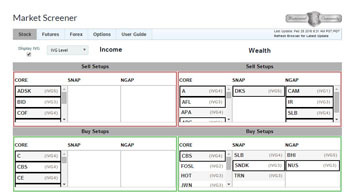 Pro Picks...all asset classes now available! 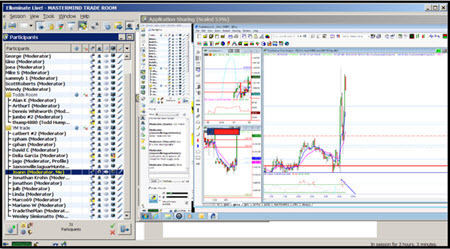 Pro Picks is where top expert trading instructors share their own trading strategies—specific projected trades including entry, targets, and stop values along with the strategy behind the trade. Each Pro Pick is followed with log entries from the expert until the trade is closed. Pro Picks are available for Equities, Futures, Forex and Options. As a member of the Mastermind Community you'll get unlimited, FREE access to the Pro Picks for all XLTs in your portfolio as well as automatic renewal for as long as you are a member of the Mastermind Community! 35 powerful markets... 6 zones per market... updated daily! Every day, banks and institutions have buy and sell orders waiting to be filled in every market. The Supply and Demand Zones "Grid" is specifically designed to identify the price location of these orders with a high degree of accuracy in order to identify turning points. The current markets contained in “The Grid” are the significant world markets that are commonly traded by banks and institutions. Each market in the grid lists 3 zones of supply (red) above current price and 3 zones of demand (green) below current price providing opportunities for both short term income and long term wealth that apply our education in real market conditions. 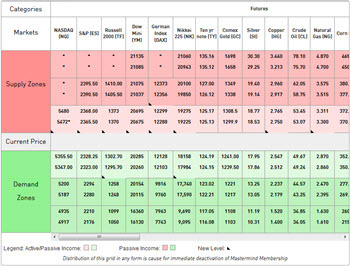 The Market Screener is a service designed to scan hundreds of markets to identify trading and investing opportunities in a just-in-time fashion where current price is approaching fresh Supply and Demand Zones with specific market conditions (referred to as Setups) offering high probability, low risk and high reward market opportunities. The goal of the Market Screener is to minimize the amount of time and effort Mastermind Members must spend to identify both short term income trading opportunities as well as long term wealth investing opportunities. No more long hours staring at the computer screen. No more de-bugging programming code. 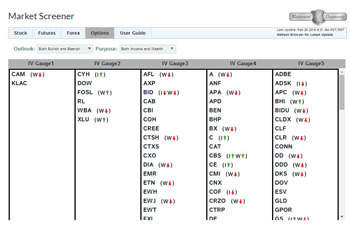 The Market Screener offers market symbols meeting specific setups, JUST IN TIME. Reinforces the setups taught in our curriculum. The "Clubhouse" is a calendar of various online sessions driven completely by the requests of Mastermind Members. These 30 minute sessions focus on topics the members wish to learn about. Sessions are conducted by Online Trading Academy instructors as well as Mastermind Members themselves. The power of "Community" is on full display when members are learning from members and sharing new thoughts and ideas. The Mastermind Community Members requested the same level of access and functionality given to our Virtual Classroom Instructors, in order to meet with other members of the community for learning and trading together. The power and creativity of the community is always greater than the individual and our members recognize this and take advantage of it 24 hours a day, 7 days a week. Members can pre-arrange to meet other members in the Trade Room or simply show up and see what's happening. Additionally, members are given the ability to create trade rooms within the main Trade Room (breakout rooms) for focused conversation and interaction. One of the key success factors for anyone looking to reach the highest level of expertise in their field is to associate with a small group of tight-knit, like-minded associates... a Mastermind Group. To paraphrase the timeless book Think and Grow Rich, Napoleon Hill states the necessity of a Mastermind group as one of his keys to success. In that chapter he states that the human mind when linked with other minds through the use of a Mastermind group can allow access to brain power that is simply not possible by one alone. Members of Online Trading Academy’s Mastermind Community are provided with the Private Trade rooms with strict access rules, where they along with their personally selected Mastermind team members can encourage each other, share trading ideas, as well as pursue and execute trading opportunities together. Private Trade Rooms use the same powerful virtual classroom technology used to conduct XLT Sessions. Improve Results through the power of "team"
One of the most powerful tools for any professional is to see the actions taken by their successful peers as a guide to follow. The Mastermind level Share My Trade feature gives our Mastermind Community students access into the minds and trades of other Mastermind students. These trades span Futures, Forex, Stocks and Options and have the effect of "Pro Picks on Steroids," allowing a Mastermind Community Member to follow the actions of other members. Following your favorite members allows you to receive an alert whenever they post a trade, allowing you to take action if that trade fits your trade plan. 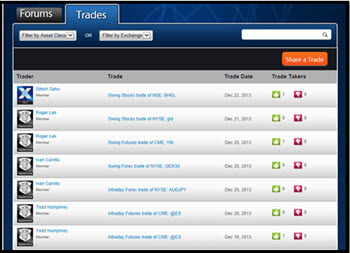 Posting your trades allows you to gather feedback from an educated community with similar training and goals. 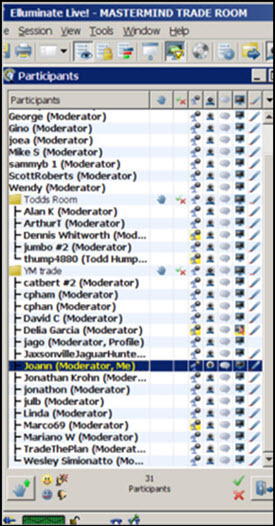 Private Trading Rooms are used by Mastermind Teams, each made up of a small number of members. Many times teams are formed from students who have built a relationship from taking classes together at their local center or online. Online Trading Academy facilitates team-building sessions to assist those members who have yet to find their desired Mastermind Team. Community Awareness. The Online Trading Academy Support Team knows the universe of Mastermind Teams that exist in the Community and provide members seeking to be a part of a team. Expedites the process. Knowing both the universe of existing Mastermind Teams as well as the criteria of the individual member seeking a team, the Support Team can quickly match the two for a great fit, or quickly bring the like-minded members together seeking to form a new Mastermind Team, all with minimal effort. 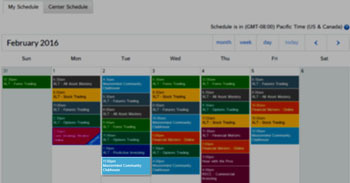 Get priority access for direct exchanges and chat sessions with top OTA instructors. 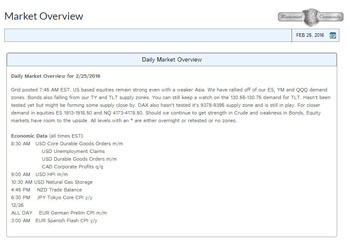 Need additional information about a trend you’ve identified in the market? Want a second opinion on a setup? During office hours, you are the first student in line! Value? Priceless. 1 hour group session offered once every 2 weeks.